In Amber McArthur's new position at CityTV, she has produced a lot of interesting material including her blog, Inside Popnology. Here she interviews Andrew Clement, Professor of Information Studies at the University of Toronto on the subject of Net Neutrality. From my home, I can pickup several wireless signals, with about half unsecured. I have been using one of these connections, instead of paying Comcast's high prices. While connecting my desktop with my laptop (to transfer some files), I noticed from the laptop that I could see this neighbors computer. I decided, what the heck, I'll click on it and see if it is open. 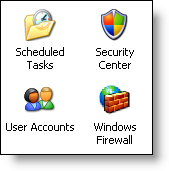 Well, I got challenged (which you would think is good), but I tried Windows XP default password for the Admin account and I got in. I suspect more people do not understand that they are not secure than being ignorant that they should be secure. Because people are assuming they are secure, their systems get left open to make easy access without any real hacker tools. Do you ever get frustrated by having to always press F8 when you want to boot into Safe Mode or the Command Prompt? With a simple modification to your boot.ini, you can add those options to the boot menu. I recently was on vacation and was reminded how much I like Google's Picasa to manage my digital photos. 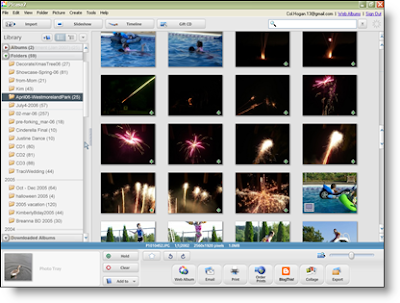 Each night as I returned from my activities, I inserted my memory card into my laptop, launched Picasa, and had it load my new photos into a folder unique for that day. Occasionally I took a few additional sunset photos, and common to camera memory cards, when loading I ended up with duplicate file names. Picasa handles this for me by automatically renaming the new files as they were saved to my laptop. Once the photos were on my laptop, it was very easy to take care of basic photo editing -- perfect for most of us non-Photoshop experts. For example, removing red-eye is simple; I can also sharpen photos; and of course rotation is a single click. Once my edits are complete, Picasa will save my original, so that I can always go back to it later.